How Do You Choose the Best Lens Tint? Today’s safety eyewear comes with seemingly endless combinations of features. From frame style and color to lens coating and safety standards, there’s exactly what’s needed for any given situation. Lens tints create even more options. With a range of colors and gradients, every option holds specific purposes and benefits. 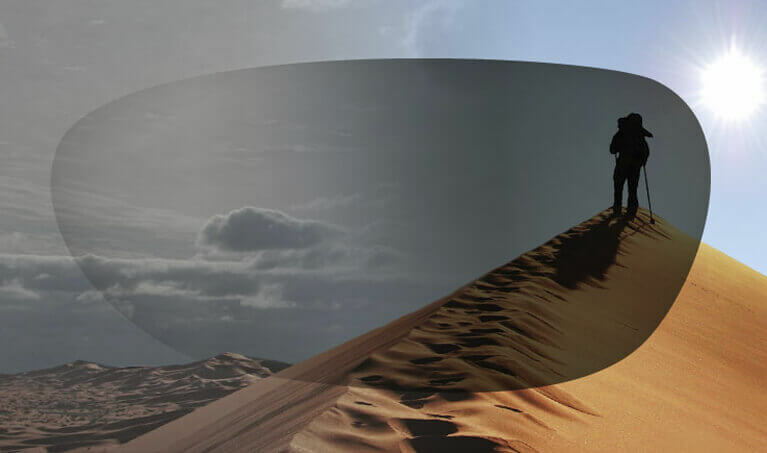 Choosing the best lens tint depends on the environment and lighting conditions combined with the unique needs and preferences of the wearer. Understanding light exposure can help in understanding the value of lens tints and in choosing the best tint. Specifically, having a basic knowledge of visible light (white light) and the two light ranges on either side of it on the electromagnetic spectrum, infrared (IR) and ultraviolet (UV). 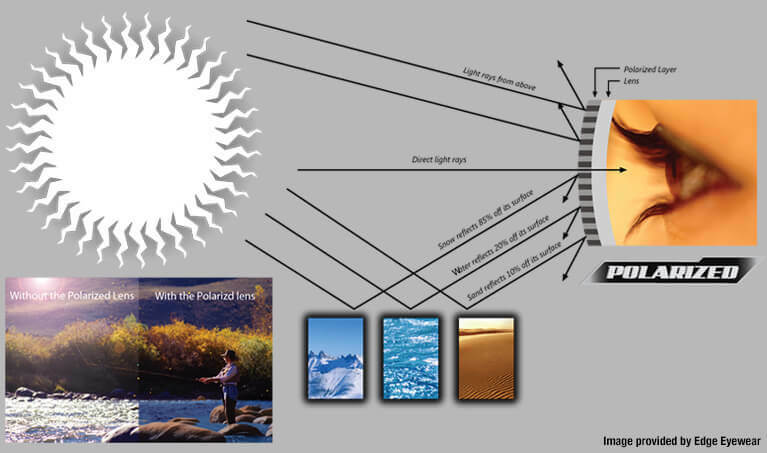 A general knowledge of visual light transmission (VLT) is also helpful. Visible light, also called white light, makes up a relatively small range of light waves humans can actually see. If visible light is broken out through a prism, we can see a rainbow pattern showing the spectrum of light colors visible to us. That range starts with blue on one end and ends with red at the other with yellow and green combining in the middle to make up the range most natural for us to see and process. While we won’t go into detail on each type of visible light, blue light does deserve some attention because of its potential negative impact. Because blue light scatters more easily than other types of visible light, we have more trouble focusing on it. Prolonged exposure results in quicker eye fatigue than with other types of visible light. Blue light also suppresses Melatonin, a hormone our brain releases to help us sleep. 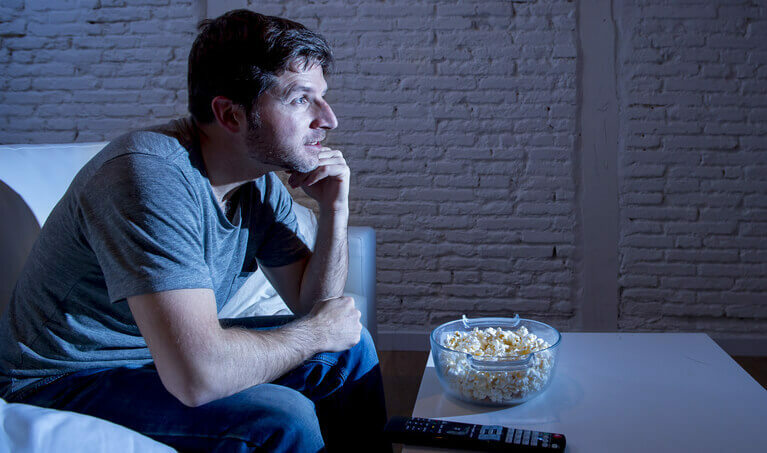 Electronics like cell phones, TV’s and computer monitors emit blue light and can contribute to sleep deprivation. Beyond blue light in the visible light spectrum is UV light. UV is invisible to us. Overexposure to UV light damages skin and eyes, which is why we wear sunscreen as well as sunglasses that block UV light. 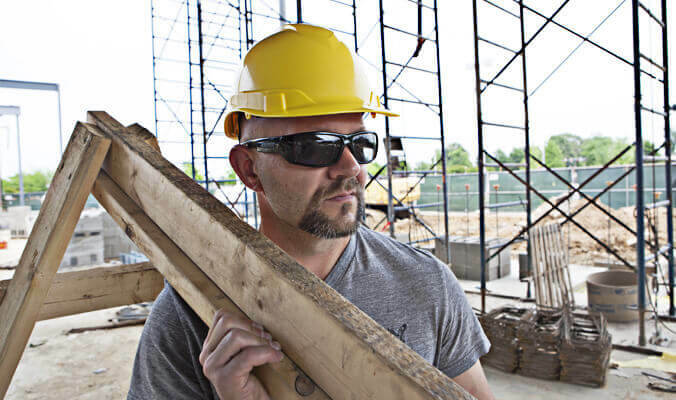 All quality safety eyewear and sunglasses, regardless of lens tint, block 99.9% of UV light. 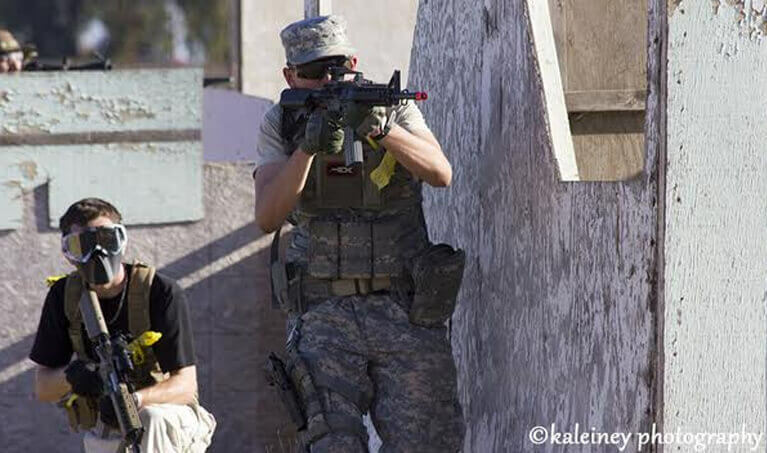 IR, just beyond the red end of the spectrum, is also invisible and harmful to us. Tools used in welding and lampwork applications emit IR, and working with or near these requires precise lens shading. When sunlight passes through any barrier, like a window or lens, some is absorbed, and some reflected. Some also pass through the barrier, and this amount is measured and then represented as a percentage of total sunlight present. This number, known as VLT, is affected by any tinting and by lens thickness, lens material and any coatings applied. A coating needs to be applied to eyewear lenses for them to control the amount of light passing through. Visible light may not harm eyes, but it can still impact vision. Each lens tint allows a different percentage of VLT through to eyes. 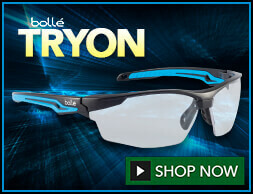 Lens tint is essential because it helps optimize performance, provide better visibility and increase eye comfort. It does this by controlling VLT, which can cause discomfort and pain with overexposure. Lens tint affects glare and the ability to see colors and contrasts. Factors such as long hours in varying light conditions and time spent around reflected light off water, roads and other surfaces that can reduce performance need to be taken into consideration. The right lens tint enhances depth perception and reduces eye fatigue as well as minimizes color distortion and maximizes visual clarity. In also increases contrast and depth perception, protects eyes from Blue Light, and improves vision in low light conditions like fog and haze in early mornings. Other benefits of the right lens tint include enhanced contrast and neutralized effects of Sodium Vapor lighting, often used along roads and parking spaces. Specific tints also reduce excessively bright or glaring light, and most will contribute to eye health by reducing eye fatigue caused by eyestrain. For whatever application and environment, the right lens tints help create the best visibility possible. The best visibility means increased safety and performance overall. The best lens tint is evident for some applications and environments, like welding. It’s not always that straightforward though, as is the case for many athletes. That’s why analyzing each situation, especially the ones where you spend the most time, is important to determine the best lens tint for optimum performance and comfort. 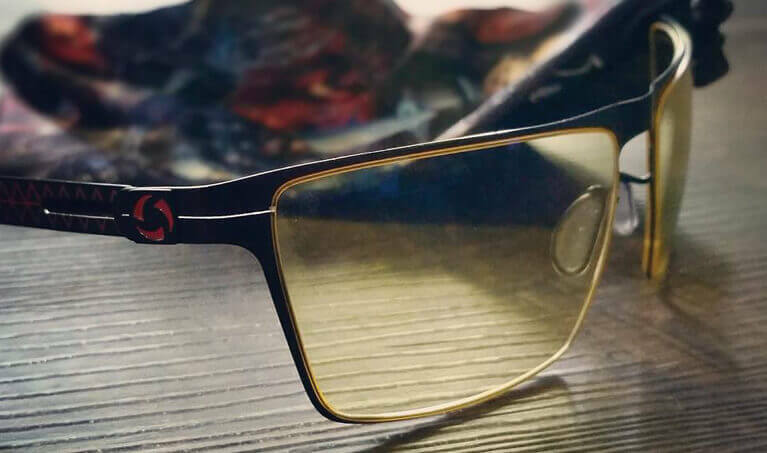 Amber/Yellow lenses, like these gaming glasses from Gunnar Optiks, block Blue Light and enhance contrast in low-light conditions. Asking the following questions can help with this analysis. Note that each application and environment often requires a different lens tint, especially when conditions vary significantly and often. Are low light conditions often present? Does yellow light frequently cause problems with glare? Do you spend a lot of time in excessively bright sunlight? Do you spend a lot of time on electronics? Is artificial light causing glare problems for you? Are you mostly outdoors, indoors or about the same for both? Does your day or activity consist of varying lighting conditions? 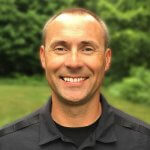 Does your activity require good color and object discrimination? Do you struggle with glare for any reason? Take time to experiment with color and shade to determine what works best for you. Sometimes, the lens tint for optimum performance is merely a matter of personal preference. As a general rule, stick to choosing a tint based on the lighting conditions that match those you experience most often. Lens tints vary from clear to very dark, solid to a gradient. This tint or shading comes in a variety of colors, each best for specific applications. Each also receives a VLT given in a percentage. 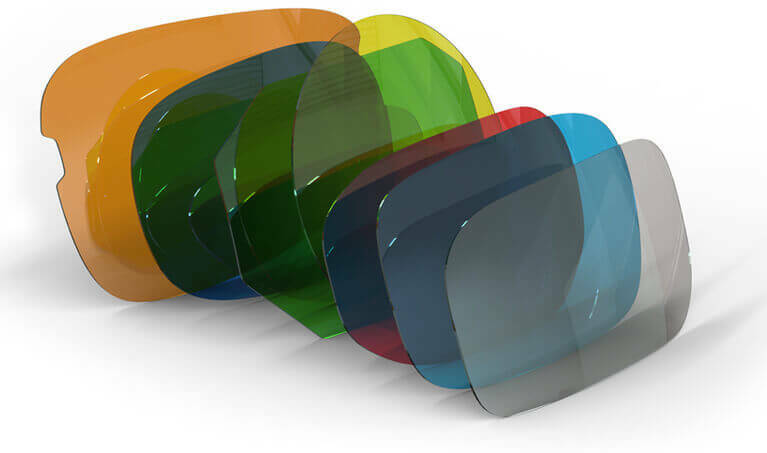 In addition to knowing the VLT, understanding the benefits and applications of lens color is also essential. The tint of eyewear can not only help you see better, but it can also reduce eye fatigue too. Overall, this means improved performance. For most standard working conditions, clear lenses work best. In fact, clear lenses are the standard lens shade for most safety glasses. A clear lens provides good vision for general, indoor applications where impact protection is essential. It also has the highest VLT, 86% to 96%, making it the most common for indoor use. Lenses with a VLT of 20% to 40% are the best for all-purpose outdoor use. These lenses work well for everyday wear and during most outside activities. These darker shades help cut through glare and reduce eyestrain in moderate to bright light. Below 20% VLT includes lenses for bright, sunny conditions and some specialty applications. Between 40% and 86% are lenses best for overcast and low-light conditions. Concerning lens color, Gray is the most common. It provides the most accurate color visibility. Gray is dark enough for bright, sunny days but not so dark as to impair vision. For general sunglass use, gray is the most common choice. Outside of the most common lens tints and colors are a ton of additional options. This is where the choices become more activity specific as well as increasingly tailored to personal preference. Amber/yellow/orange: (76-86% VLT) Enhance contrast. Low light conditions. Brighten environments. Block blue light. 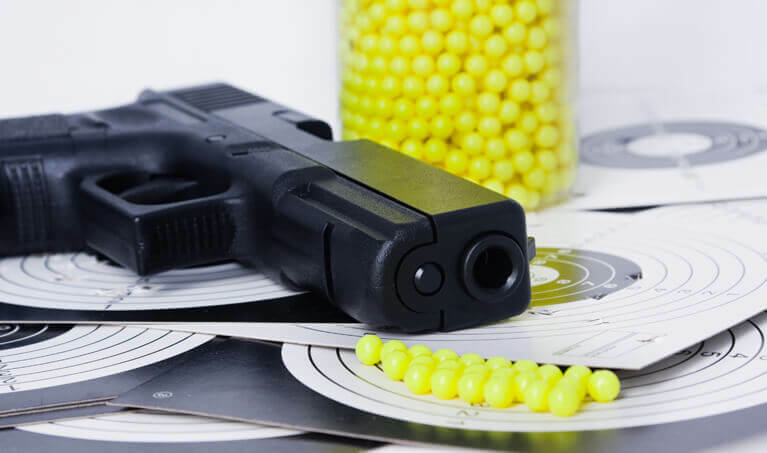 Applications: shooting, cycling, and indoor courts. Blue: (68-78% VLT) Reduce yellow light. Indoor/outdoor. Applications: working conditions with sodium vapor lighting and excessive glare. Indoor/outdoor: (50-65% VLTS) Versatile. Good color visibility. Similar purpose as gray lenses except for allowing more visible light through. Reduces glare from artificial lighting. Dark amber/copper/brown: (44-68% VLT) Outdoor use where sunlight and glare cause eye fatigue and strain. Block high amounts of blue light. Improve contrast. Applications: baseball, golf and water sports. Vermillion: (40-82% VLT) Enhance contrast. Applications: doing indoor inspections. Red: (28-48% VLT) Enhance detail and depth perception. Green: (12-21% VLT) Mildly heighten contrast. Preserve color balance. Applications: baseball and golf. In addition to these lens tint options, each with its own level of VLT, some specialty eyewear options bear additional consideration. Polarized lenses, mirrored lenses, interchangeable lenses, and photochromic lenses offer some unique options beyond just a single shade and color choice. While not be suitable for everyone, many also consider these options invaluable. 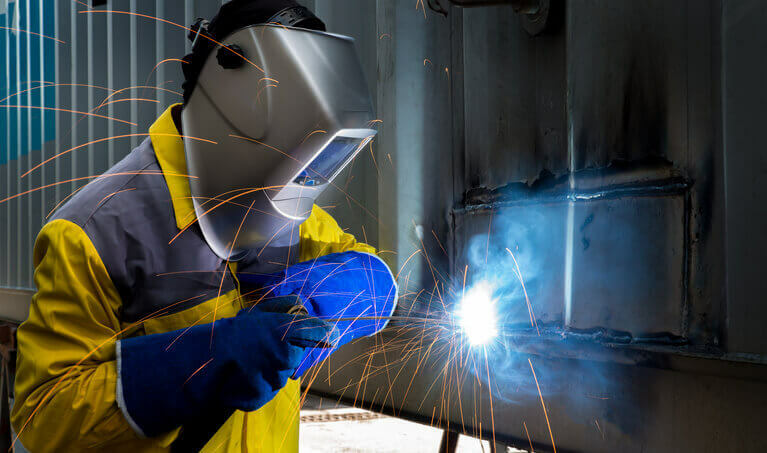 Welding Shades come with very specific directives since light radiation from welding can severely and permanently injure eyes. 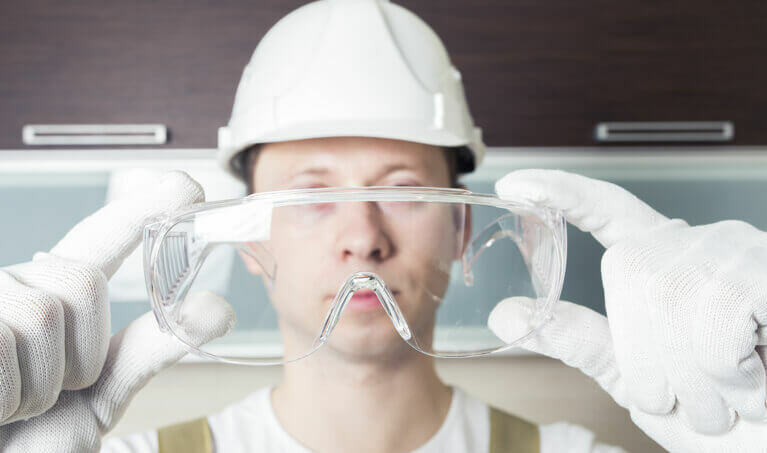 Eye protection for welders must have filtered lenses with a shade number providing necessary protection for the specific task being performed. 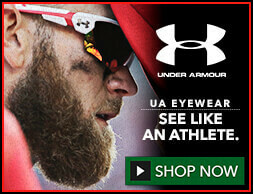 Another specialty option is polarized lenses. Light reflected off a smooth, horizontal surface such as a lake, ski slope or road, creates a nasty glare that can cause significant eye fatigue and visibility problems. The light is often intense and difficult to avoid, such as when driving or boating. Anyone especially sensitive to glare will find polarized lenses beneficial, and so will those who find themselves in changing outdoor lighting conditions. Note that polarized lenses can react with windshield tints and diminish the visibility of dashboard lights. They also are not the best choice for those who need to see the reflected patches, such as downhill skiers who need to react to icy patches. Mirrored lenses are actually created by a coating applied to the outside of lenses. Their purpose is to reduce glare by reflecting light. They often make objects appear darker, so combining them with lighter tints, such as gold, blue or silver, can help with visibility. Interchangeable lenses come with several lenses of different colors. They allow for tailoring of eye protection based on current conditions and activity. Multi-lens eyewear works well for individuals who participate in many activities in a wide variety of conditions. Photochromic lenses automatically adjust to changing light conditions. They get lighter in darker conditions and darker in bright light. These lenses do take longer to work in cold conditions and may not work when driving since UVB rays do not penetrate windshields. Photochromic Lenses and Safety don’t always mix, so do your research to make sure they are the best choice and consider having another option available. We have by no means covered every lens tint possibility in this article. We encourage you to do your own research and begin by reviewing this Lens Tint guide and this Guide to Sports Sunglass Lens Tints. Then, peruse the many options available online. Finally, analyze your situation with the questions above and experiment with different lens tints before making your eyewear investment. You won’t regret the time or money spent, especially when you experience enhanced performance along with reduced eye fatigue during your most important activities. What questions and/or comments do you have about finding the best lens tint? We are glad it helped. Thank you for reading, Mohsen. Would you suggest a yellow tint for someone negatively impacted by grey, overcast weather? I find it exhausting. However, Sad lamps use blue light but yellow tints block it! Natasha, it’s true that Yellow (aka Amber) lenses block some blue light, often around 15-35%. Some lenses, such as Brown, Orange, Bronze and Copper, block even more than Yellow. I’m not sure where the direct tie-in between SAD lamps and overcast days come in to play. The lamps would be used indoors, while attempts to counter a gray sky would be outdoors, and usually indoor and outdoor eyewear is not the same. From what I’ve read about SAD lamps which, admittedly isn’t a lot, not only is it not necessary to wear tinted eyewear, it is not recommended. While you’re not looking directly into the light, the light is intended to enter your pupil while you’re near it. Any tinted lens reduces the light and in turn reduces the effectiveness of the procedure. Regarding tints for overcast days, my preference and suggestion is a light brown/bronze or light copper. I need a tint to help depth perception and help indoors . I must have better illuminated inside. Joanne, the need for depth perception and/or contrast usually calls for a yellow/amber, bronze or brown, and occasionally a copper or pink/rose/vermillion. It all can depend what you’re doing and where you’re doing it, but these are the known tints for improving depth perception and/or contrast. Since you need better illumination, you’ll want to eliminate the darker of those options, being copper and brown. A pale yellow or amber will “brighten” up your view the most among these, and it’s not all that close. A very pale bronze or pink/rose/vermillion could also work. Keep in mind that any tint technically (and mathematically) reduces the light transmission of your lenses. But at least yellow gives the “appearance” of being brighter. I would like to ask as a surgeon who needs both depth perception and wants a decrease in the glare for the operating room light. What color tint is the most suitable? Wael, We often recommend a tint in the brown family for depth perception, such as amber, bronze, copper or brown, but that’s usually for outdoor applications. For more controlled lighting conditions where you require a clear, detailed view, I might suggest a light Vermillion or Pink. This will provide some glare blocking from the bright lights, but will also offer good contrast enhancement. This is the #1 recommended tint for parts inspection. Because of its adjustability for fit and comfort, as well as the wrap, overall view and color, my top choice is the Uvex Genesis. I am looking for the best tint for farming. This includes driving tractors and working on equipment in sunny conditions. Leslie, I would not say that there is one best tint for farming. Many will do, and it can depend on factors like background color, such as trees at the perimeter of your land; your land itself and/or any crops you may be growing (and their plants or leaves); what you’re doing and where’s you’re looking at any given time with any given task; and light conditions. On overcast days a light brown, bronze or copper lens is usually ideal. 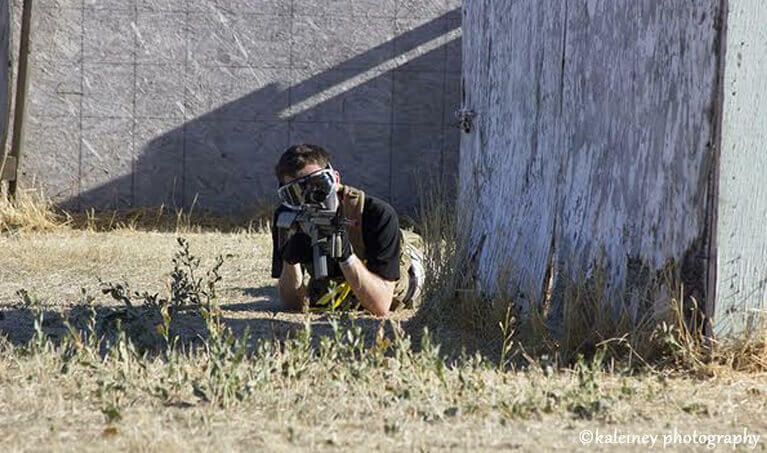 On sunny days, a darker lens is typical. The darker lens could be smoke/gray, brown/bronze, copper, smoke/green, or a blend of these or other colors. If glare is a problem, you might consider a polarized lens. If you happen to be looking down while working on equipment, even if it’s sunny, a dark lens might be too dark for detailed work. My doctor recommended a light tint after my most recent exam. I have photophobia because of an ischemia in one eye. I am a teacher so I mostly work indoors with computer screens projectors and I am looking for the right color. When I was at the office she recommended a darker grey for my new sunglass, but did not give me a tint color recommendation for my new every day wear glasses. She did give a shade recommendation so I would not be too dark indoors. I have no idea where to start for color so I though I would ask what to look for. Robyn, you might consider a light brown or bronze lens. This will not only be soothing, but will block some of the blue light that’s emitted by your indoor lights, computer screens and mobile devices. 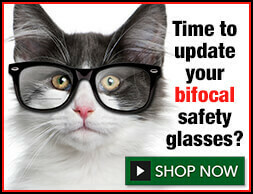 This will improve contrast over many other tints and help prevent or at least delay eye fatigue after a long day. Of all the blue-blocking tints available, this is the most color-neutral. In other words, the color distortion is very minimal. I like brown polarised lenses but not so dark as the high category lenses usually found in the shops. Can you advise on best combination, esp for driving? Rick, I agree with you, brown polarized is a great lens. 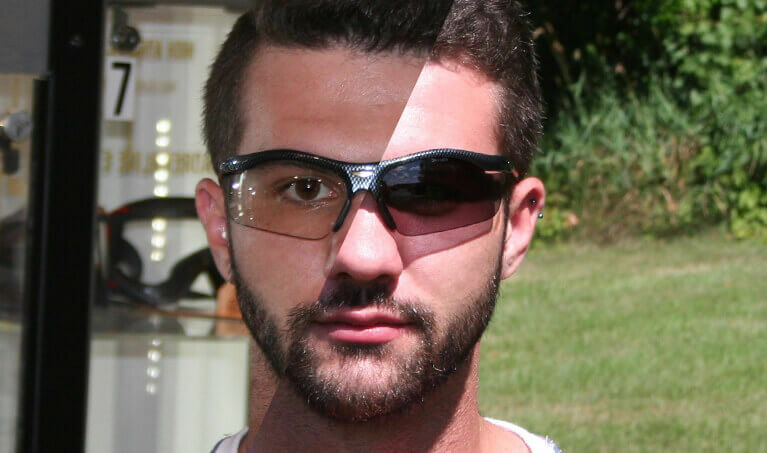 This link will take you to our polarized sunglasses, filtered results to show you Bronze-Brown and Copper-Rose lenses. Copper is another good driving lens. The Haven brand are over-prescription glasses and the ONOS are bifocals. If you don’t need those, you can ignore those brands. Be aware that even though some of the images vary in color, all of the lens tints within a specific brand will be the same. That is, all copper from Edge are the same; all Brown from Smith are the same, etc. The browns are all fairly close in color and lightness, so I hesitate to recommend any one style, but there are many great ones from which to choose. Hi I recently had surgery for a macular hole followed very quickly by surgery for a post surgical cataract. I am now left with a flickering light sensation in that eye and a dislike of bright and artificial lighting. Is there a colour tint that you would recommend? Karen, I’m sorry to learn of your condition. My thought would be a soothing brown or bronze for everyday use, but I’m not sure how light-sensitive your eye is now. Thus, I hesitate to suggest any tint, as it may be too light, too dark, or the wrong color altogether per your doctor. I would recommend first getting the opinion of your doctor who is more familiar with your eye and symptoms. Can you tell me what’s a good color tint for prolonged computer use daily? I work in a office with little to no sunlight. Thank you for your question, Khalilah. I would recommend you wear some form of blue light blocking eyewear due to long hours of screen time and artificial light exposure. Gunnar Eyewear offers several models of computer eyewear designed to block blue light, and they have both Amber and Crystalline(clear) lenses. If you need both blue light and ANSI Z87+ rated impact protection Crews offers the VL2 Safety Glasses with MAXBLUE Lens. 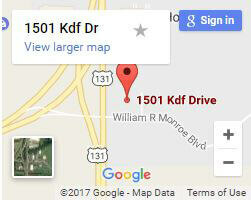 What is a good lens tint color to improve night vision while driving? Also while driving in dark and rainy conditions? Thank you for your question, Susan. There is no specific lens tint that’s proven to help night vision. Keep in mind, tinted lenses actually reduce the amount of light your eye receives. So, wearing tinted lenses at night can actually reduce your night vision instead of improving it. With that said, you may notice a subtle improvement with lenses that feature an anti-reflective coating. Some people report AR lenses to help with oncoming headlight glare. Thank you for your question, Carol. I recommend you see an eye doctor in your area. It’s very possible, due to your high level of screen exposure, that you’re suffering from CVS (Computer Vision Syndrome). I recommend wearing eyewear that’s designed to reduce blue light exposure, computer glasses for example, and finding ways to reduce your daily screen time. Wondering your thoughts on the best tint for police work. Being outside all day in mostly sunny, Miami weather, I’ve noticed some tightness in my head. I’m pretty sure it’s due to eye fatigue. I’ve used blue polarized lenses in the past, but I’ve read that a brown color might be better suited for the outdoor work/driving. Thoughts? Thank you for your service and question, David. Let me know if you have additional questions or comments.